In partnership with you, engineer to engineer, Dial-X Automated Equipment, Inc. builds custom automation solutions around your products. Dial-X Automated Equipment works with you to increase your efficiency, quality and productivity. We stand behind our equipment from design concept to installation and into production, and we back it up with first-rate service. 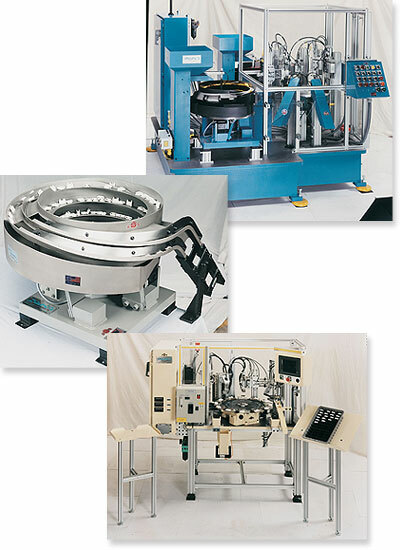 Dial-X Automated Equipment, Inc., an American Company, provides world-class automated equipment components for a wide variety of industrial applications. Over a quarter century of engineering and automated manufacturing knowledge and experience is built into every product, establishing our rich tradition as an expert precision component manufacturer. Committed to quality, we utilize sophisticated Computer Aided Technology (CAD) in creating innovative solutions for your equipment requirements. Beginning in engineering, working one-on-one with each customer, our engineers design your equipment to your specifications. Dial-X Automated Equipment's mechanical and electrical engineers take pride in fully understanding the customer's individual needs, and responding with detailed designs for a customized assembly machine. Our goals are met only when you have reached your goals. We know that taking pride in what we do today affects everyone's future tomorrow. Any company can manufacture equipment, but it's our dedicated team that makes automation work.